This tour can be combined with our Kenya Prime Birding Tour to make our famous Kenya & Tanzania Birding Tour. We shall start our Tanzania Birding Safari in Arusha town, the tourism capital of Tanzania. 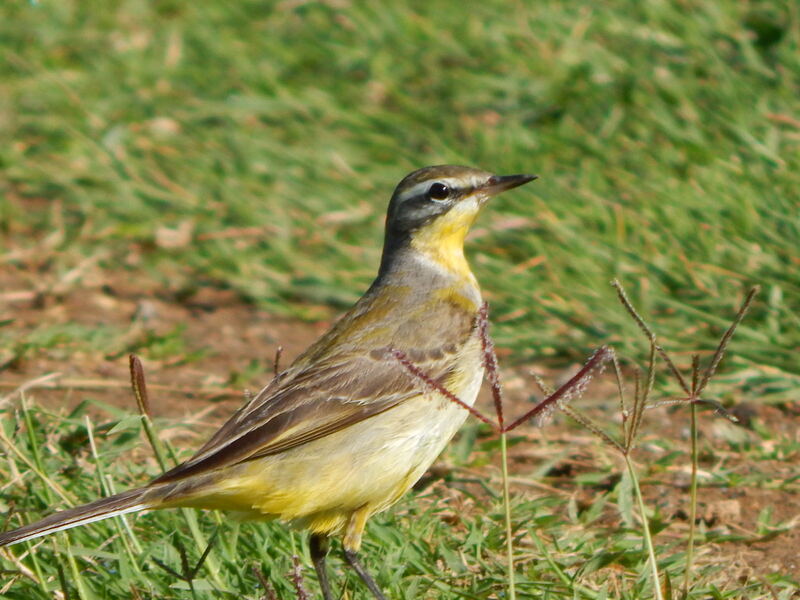 We shall drive from Arusha and head north to the Lark Plains for a day of birding. Birding will be active on the way and we shall make stops to enjoy many species as we drive along. We shall enjoy birding at the plains; targeting the local specials among an array of other species. Later in the afternoon, we shall return to Arusha for the night. We shall start the day early with a trip to Arusha National Park. Here we shall drive some sections of the park, and also bird on foot in other areas. This park has a great highland forest nestled around Mt. Meru. Many highland bird species can be expected here. We shall spend most of the day birding here. Other wildlife will be encountered including Maasai Giraffes and assorted monkeys. We shall spend most of the day in the park to maximise our lists and enjoy the most that this area has to offer. From here we shall cruise through the semi-arid area west of Arusha on our way to Lake Manyara. On the way, we shall encounter more birds, as we make several strategic stop-overs. We shall leave our hotel early, to allow enough time in the park. We shall enter Lake Manyara National Park, a great habitat surrounding a pristine soda lake in the Rift Valley. The local Baobab trees will illuminate our journey through this lowland region. Here we see lots of birds and during a good time, lots of flamingos- a key highlight on our Tanzania Birding Safari. The local game is mainly composed of monkeys. Others include Savannah Elephants, Lions and much more. We shall leave early and head to the Ngorongoro Crater. This is a large and scenic crater located at about 2000m above sea level. This crater is about 600m deep and has an amazing view both from the top and inside the crater. The crater is nestled in a pristine natural forest, full of beautiful indigenous trees. We shall enjoy the views of the crater from the rim, as we scan for birds in the area. We shall then descend the majestic Ngorogoro Crater. Descending down the crater floor takes you through great scenery and you get to experience the local Euphorbia tree varieties. Herds of wild animals are plenty inside the crater as well as wonderful views of the crater walls. Look out for the local Lions, Black Rhinos, Common Zebras, assorted Gazelles, Nile Hippos and Wildebeests. We shall spend most of the day birding and enjoying the game across the crater. Later in the afternoon, we shall ascend to the crater’s rim enjoying some more highland forest birds as we move higher. We shall spend the next leg of our Tanzania Birding Safari enjoying the beautiful birds and big game of the mighty Serengeti. We shall enjoy long days on game drives as we transect this vast savannah. We shall also sample local wetlands and scrubland to boost our species lists. We shall enjoy lunch stops around midday. Mammals we can expect here include the Savannah Elephant, Serval, Maasai Giraffe, African Lion, Leopard, assorted antelopes, Common Zebra and Cheetah. We shall leave early and head to Tarangire National Park, a less explored birding gem. Birding on the way will be active and in the afternoon we shall enter Tarangire, the land of Elephants and Baobab trees; where many birds await us. Big game will also be encountered as we bird. The local Acacia woodland is also very graceful and full of birds. This day will be spent enjoying more of Tarangire to score species we may have missed the previous day. The birds will surely keep adding to our already great list. We may also add more mammal encounters as we scout the habitat for birds. Mammals expected here include the African Elephant, Banded Mongoose, Cape Buffalo and Cheetah. On this day we shall drive back to Arusha picking some extra birds on the way. We shall arrive in Arusha in time for lunch. Later in the afternoon we shall drive to Kilimanjaro Airport, for our evening flights home marking the end to our lovely Tanzania Birding Safari.